Lots of Mulder/Scully arguing, preferably over whether or not something has supernatural origin. This argument needs to take place near a slide projector in a dark depressing room. John Doggett and Monica Reyes are eaten by the chupacabra. In fact, the aliens cause a temporal rift and seasons 8 and 9 never happened at all. This includes the magic alien baby and any confirmation of the M/S relationship, allowing all the fun sexual tension back into the equation. Someone needs to switch bodies with someone else at least once. Dress M and S in the FBI jackets from the first movie again, that was fun. Mulder loses a hand in a big fight with the mysterious CSM, and ends up finding out that his real father is the big bad dude before he saves the universe from evil. Chris Carter decides to end the series there and pays the mafia to murder anyone who even thinks about creating a prequel, including him. A dream/hallucination sequence in which mulder and/or scully don’t realize they are dreaming. Samantha comes back for real, I don’t buy the whole rescued by benevolent spirits thing… though that storyline did go on and on and cause lots of angsting, and Mulder will be busy angsting about his missing hand, so scratch that. 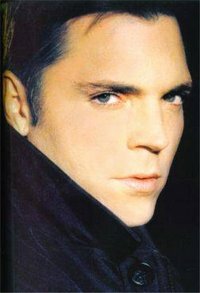 Did I mention I like Krycek?